How did you start Think-Feel-Discover? 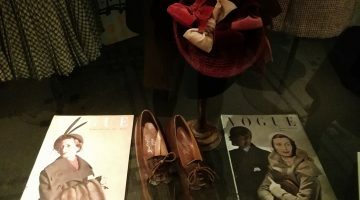 I started with a Blog focussing on my inspirations, designers of Chanel, Christian Dior my drive and the love of the study of Art and the processes involved when creating and making Fashion. My Blog was launched in 2012, at the time I knew nothing about Blogging or how it worked or how it was seen and received by subscribers around the World, regardless of my lack of knowledge I faced the future with a willingness to share and learn, “Think-Feel-Discover Fashion” Blog was born. All my hard work and research over the following two years placed me in a very good position so I launch the Think-Feel-Discover in 2013 I’ve never looked back. I attended the University of Ioannina in my home Country Greece, I majored in Primary School Education. Looking back now I can still see myself creating Artwork with Children, it was a study colour a, psychology a creative process of the mechanics behind the making images and what we use to create them. I couldn’t think of a better major to prepare me for what I am doing today. Yes, I work a five and at a time six day a week for forty-six weeks a year with six weeks off for holidays. What do you find most rewarding Managing, Think-Feel-Discover? I love having something that’s completely my own… I love discovering, networking with innovative designers, with collaboration, I love to be apart of the process that shares the work of amazing design talent to a World audience. Every day is a creative challenge it keeps me focused and motivated to reach my goals and to always striving to improve my knowledge and leave my mark as a creative with a dress code is the best feeling ever. Are you Selective who you work with? how do you decide? I’m lucky to have the opportunity to work with some amazing brands as a stylist during International Fashion Events. So I have to be extremely selective when working with companies but only due to the market size, I have to prioritize well, focus on trend projections and follow my professional instincts, I will only feature products and brands that I love and fit into the lifestyle that I share with others. After visiting the Think-Feel-Discover Home Page where should I look next on the website? Click through the main menu at the top of the home page, each page has been created to offer a collective mix of Fashion and Style and how visitors and prospective clients can contact me.